What Can You Do with an MSN? Nursing is an incredibly diverse occupation. Within this profession, career-minded individuals can pursue a variety of specialized paths. These career paths range from administrative and supervisory roles to advanced practice nursing, wherein they administer care to a specific segment of the patient population. In order to pursue the following specific examples of senior roles in the nursing field, registered nurses may need to earn a Master of Science in Nursing (MSN). Here are a few things you should know about MSN careers. Before pursuing an MSN, nursing professionals may ask themselves what environments MSN careers could lead them into. Because of their proficiency in providing patients with care, educated nurses are in-demand candidates for jobs in some of the fields and facilities noted below. However, it’s important to note that in order to pursue an advanced nursing position, additional training and/or certifications beyond a graduate degree may be required. Advanced nurse practitioners who have earned an MSN commonly pursue the following positions. However, it is important to note that the complexity of advanced nursing practice occupations often demands that applicants meet other criteria before they can qualify for certain positions. In many instances, it may be necessary that aspiring nurses concentrate their studies on a particular field of nursing or receive certifications beyond a master’s degree before applying. It is important to research what professional criteria must be met before pursuing an advanced nursing position. Please note that the U.S. Bureau of Labor Statistics has found the nurse practitioner roles listed below to offer a median annual salary of $107,460. Also, because of the high demand for nursing talent, the number of positions available for nurse practitioners is expected to grow by 31 percent through 2026. Family nurse practitioners effectively have the broadest spectrum of patients, as they care for men, women, and children of all ages. This gives FNPs a high level of flexibility regarding who they will treat. Family nurse practitioners can have a satisfying career that entails supporting, treating, and educating individuals, as well as entire families. After completing an MSN program with a specialization in adult-gerontology primary care, a nurse is qualified to provide care to adults, ranging from young adults to the elderly. Because people usually suffer from a higher rate of chronic disease as they grow older, adult-gerontology primary care specialists need to understand how to help their patients manage multiple health issues at once. This requires an aptitude for communication, as the nurse will need to teach patients how to keep their illnesses under control and prevent the development of complications or other diseases. The work responsibilities of an AGPCNP are limited to providing primary care services, such as routine checkups and administering physician-requested treatments. But because they are taught how to provide adult and elderly patients with a safe, comfortable healthcare experience, they are great candidates for roles in nursing homes or other long-term care facilities. They can also be strong candidates for positions in university student health centers, as they are well-versed in addressing the health concerns that are most commonly expressed by university-age individuals. The AGPCNP and AGACNP both specialize in treating the same patient demographics, but AGACNPs focus on providing treatment to acutely ill and injured patients, rather than offering primary care services. Acute conditions are health issues that quickly take hold and often require immediate attention, such as a heart attack or a bone injury. Quite often, AGACNPs will be put into clinical situations wherein they will need to quickly assess the causes of certain symptoms and formulate an effective plan of action for treatment. Some common job responsibilities are stabilizing patients and ordering and interpreting diagnostic tests to aid in the development of treatment plans. AGACNPs are critical care providers. Therefore, they are usually hired in emergency rooms, trauma units, or other acute care departments within hospitals. These units are typically pressed with a high patient volume, making for a routinely stressful work environment. This position is most appropriate for a nurse who works well under pressure, as he or she will need to maintain mental clarity and make intelligent decisions even when time is limited. Pediatric nurse practitioners have the sensitive responsibility of providing care to newborns, infants, and adolescents. Certain conditions can impact children in ways entirely different from how they would impact adults. Consequently, healthcare providers must deliver care to these patients in a way that is specifically tailored to the needs of children. Pediatric nurses are usually responsible for performing routine health maintenance tasks, such as regular checkups and vaccinations. When administering care, pediatric nurses must also be aware of how their actions will affect the developing mind of a child. Through coursework geared toward MSN careers, pediatric nurses are taught about child psychology and how to effectively communicate with children and their parents. 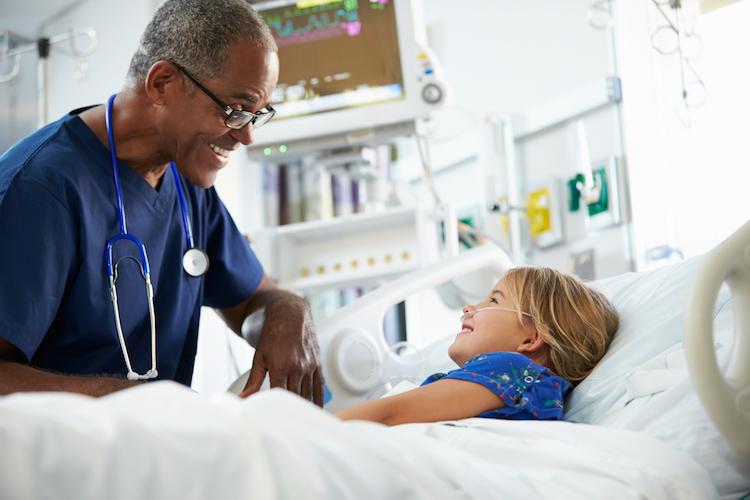 With proper communication, pediatric nurses can develop a rapport with patients and their families, allowing nurses to provide emotional support and gather information about a patient’s health concerns. With these proficiencies, pediatric nurses may have the opportunity to take on advanced practice nursing roles in healthcare institutions, such as hospitals and medical practices, as well as in schools. A condition that impacts a person’s mental health, such as depression or anxiety, can significantly impact the quality of the person’s everyday life. Like the family nurse practitioner, a PMHNP can work with patients of all ages. The PMHNP is usually tasked with using psychotherapy strategies to assess the mental state of patients and applying clinical expertise to treat any mental illness the PMHNP encounters. The prescribed treatments that a mental health nurse practitioner may administer can be some form of conversational therapy or, in some instances, medications to counter the symptoms of a mental illness. Qualified mental health nurse practitioners may find work in mental health clinics, providing support to other mental health professionals. They can also be hired to work in rehabilitation centers, where they will help treat conditions such as psychosomatic disorders, sexual disorders, and substance abuse problems. They are also highly sought in prisons, correctional facilities, and veteran support groups, as prisoners and veterans are known to have excessively high rates of mental illness. Below are some leadership opportunities that educated nurses may be qualified for after accumulating experience in their respective fields of practice. A clinical nurse research specialist works in health research facilities, such as the Centers for Disease Control and Prevention, to develop new, evidence-based healthcare interventions. This process requires creating new courses of treatment and administering trials to patients. As the trials progress, the clinical research specialist directs the subordinate nurse researchers in the process of recording any useful observations. Using these observations, the clinical nurse research specialist must identify alterations that can be made to improve the health outcomes of the treatment and strategize a way to effectively implement them into the trial. As this is a leadership role, clinical research specialists must understand how to coordinate teams and ensure that their subordinates strictly obey the applicable research guidelines. This can be helpful for ensuring that all research data is consistent and accurate, but most importantly, this understanding is essential to keeping patients safe and comfortable during trials. Because this is an advanced position, clinical research specialists typically require a postgraduate degree and approximately five years of clinical research experience. A nursing supervisor is responsible for guiding nurses in a specific department or unit in a medical institution. This work is usually focused on using executive leadership skills to support a team of nurses by drafting schedules, assigning clinical tasks, and providing constructive feedback. By developing a communicative relationship with employees, a nursing supervisor can understand the competencies each nurse on his or her staff has to offer. This can be essential to optimizing labor use in the workplace. In some instances, supervisors may also suggest ways for their nurses to improve their clinical skills or professional knowledge. This may be by inviting them to conferences or training events or directly mentoring them. As seniors in the healthcare industry, nursing supervisors benefit greatly from having the level of expertise offered by either a Master of Science in Nursing or a Master of Hospital Administration. Of course, a nursing degree may also boost their ability to flourish in a supervisory role that requires a great deal of hands-on clinical decision-making. Through an MSN program, nurses may learn the skills and proficiencies that healthcare employers are currently seeking. With nursing talent in higher demand than ever, a Master of Science in Nursing may help aspiring nurses progress into more satisfying MSN careers. Maryville University’s online MSN program helps prepare nurses for success in the more specialized or supervisory nursing roles that will take their careers to the next level. Learn more about Maryville’s master of science in nursing program. If an MSN degree interests you, find out more about what an MSN program curriculum involves.